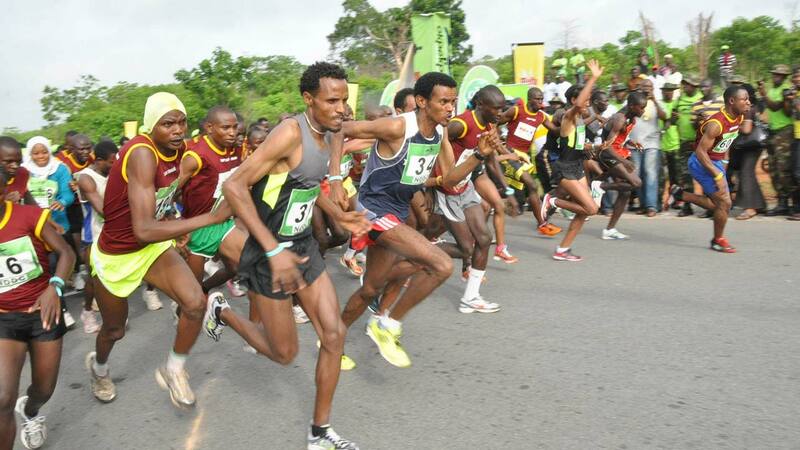 One of Nigeria’s leading financial institutions, Development Bank (DBN) has renewed its partnership with the Okpekpe International 10km road race. The bank, founded in 2014 and which focuses on alleviating financing constraints faced by MSMEs and small corporations in Nigeria through the provision of financing and partial credit guarantees, first came on board the Okpekpe train last year. Reacting to the gesture, the race’s director of organisation, Zack Amodu said, “We are delighted that DBN, a leading financial institution in Nigeria, has decided to renew its commitment with us as a big friend of the first road race in Nigeria to be granted a label status (bronze label in 2015) by the International Associations of Athletics Federations (IAAF). “Last year, DBN signed on with us and made history as one of the socially responsible companies to associate with the race, which added another first as the only road race in West Africa to be granted a silver label status. Amodu, who revealed the bank would offer cash support towards the successful organisation of the race, added, “our partnership with DBN is unique because like the Okpekpe race, the bank is also making giants leaps in its area of business. “Just last October, DBN became the newest member of the SME Finance Forum, a global membership network that brings together financial institutions, technology companies, and development finance institutions to share knowledge, spur innovation, and promote the growth of SMEs.